« The Politicization of Everything -- Is Escapism Even Possible Any More? The real key is the smart politicians knowing the right time to plug in and then subsequently unplug and then it will work perfectly. Oh I see. It's the same argument socialists use. THIS time we'll get it right because THIS time we're sufficiently righteous. I totally sold. May I give you my money? This only works if it is a power backup/surge protector strip. Plug the battery backup unit into the battery backup unit to recharge it. Should work indefinitely. Not sure if you could tell I was joking... I will accept your money though. Sarcasm is poorly communicated via the internet, but yes, I suspected you were joking. 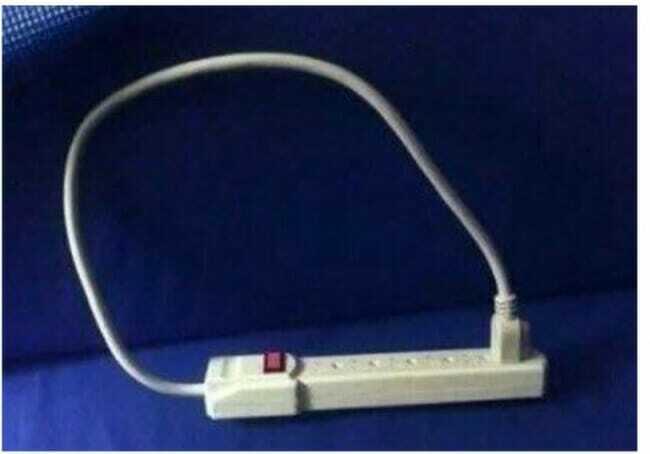 If electricity worked the way Keynesians think the economy works, doing that would turn your power strip into a bomb. You know, Warren, this coud be 'Say's Law', too. Nice. In other news we'll also soon have evidence of the broken window fallacy in Berkeley. What are the chances of Krugman ever being right again? The first pass answer is never. uh no, part of the electricity drained from the battery to feed the battery is lost to heat. Too many people want free stuff, so the idea of a "socialist utopia" will never go away. Snowflakes want to be paid to play with play doh and color all day and demand that someone else pay. As Ike said above, Sarcasm is poorly communicated via the internet. I believe the circuit is missing a delay element, which is what is supposed to induce a phase shift, leveling the output. The point that there is no amplifier in the circuit is well taken.